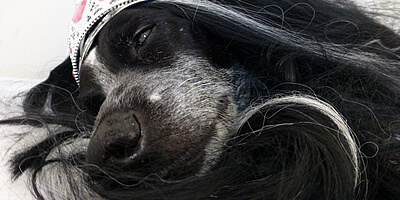 Model, poet, very good boy...our bloggin’ dog mascot lived 14 glorious years and was love itself. 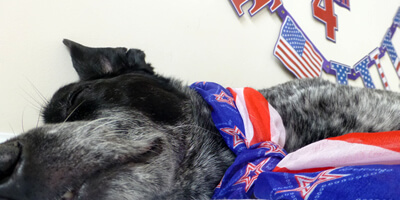 Ruby may be a blue heeler, but in July he is all things red, white, AND blue. 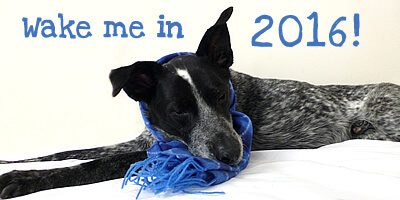 The bloggin’ dog shares his festive and patriotic feelings with a 2015 4th of July haiku and photo shoot. Happy Independence Day! 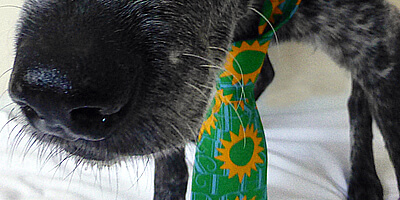 Ruby plucked a sunflower necktie from his dad’s tie rack and got to work on a Father’s Day haiku. 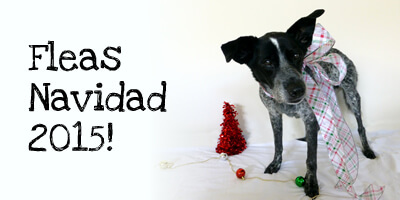 The bloggin’ D.O.G is celebrating this very special D.A.D holiday in style! 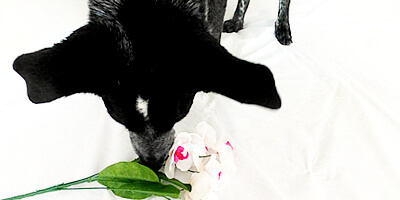 Ruby offers all the love in his heart along with a beautiful bouquet in honor of Mother’s Day 2015. This happens to be his favorite holiday of them all. He is a mama’s boy, after all! 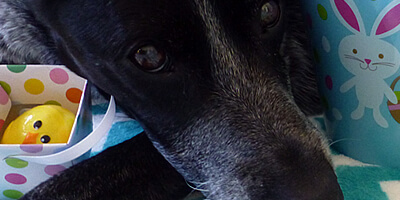 The bloggin’ dog hops onto the scene to wish everyone a Happy Easter 2015. This is no yolk! 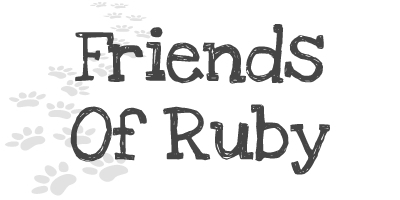 Crack open Ruby’s latest holiday haiku while you enjoy Sunday brunch or during a festive Easter egg hunt. Review and Giveaway! 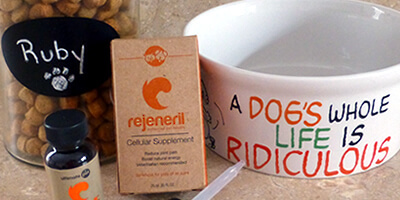 Bloggin’ Dog Ruby tests and reviews the pet dietary supplement Rejeneril®. You’d be barking mad not to enter our giveaway because one lucky reader will win their very own bottle! 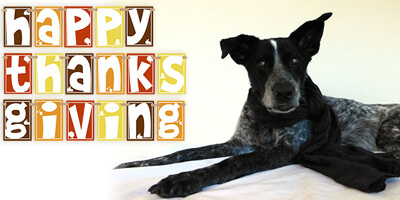 Ruby O’Shamrock is a blue heeler, but his heart beats green at this time of year. 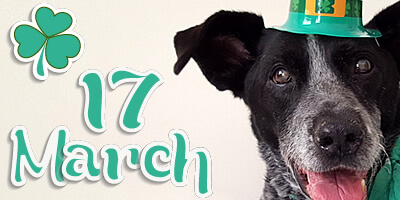 The bloggin’ dog shares his Irish hound pride with a 2015 St. Patrick’s Day Haiku and photo shoot. 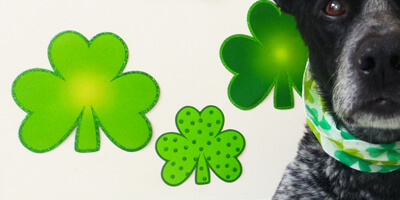 Éirinn agus Ruby go Brách! 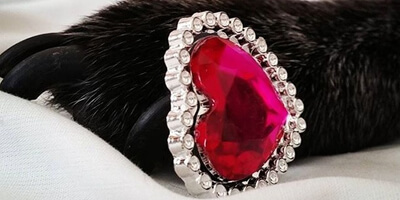 You can’t fight your heart’s desire, especially on Valentine’s Day. 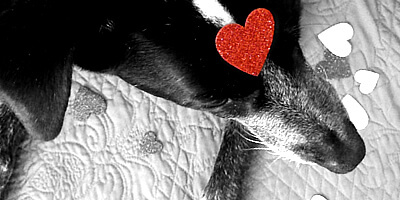 Ruby the bloggin’ dog wishes you all a day filled with mushy, gushy love, doggone it!